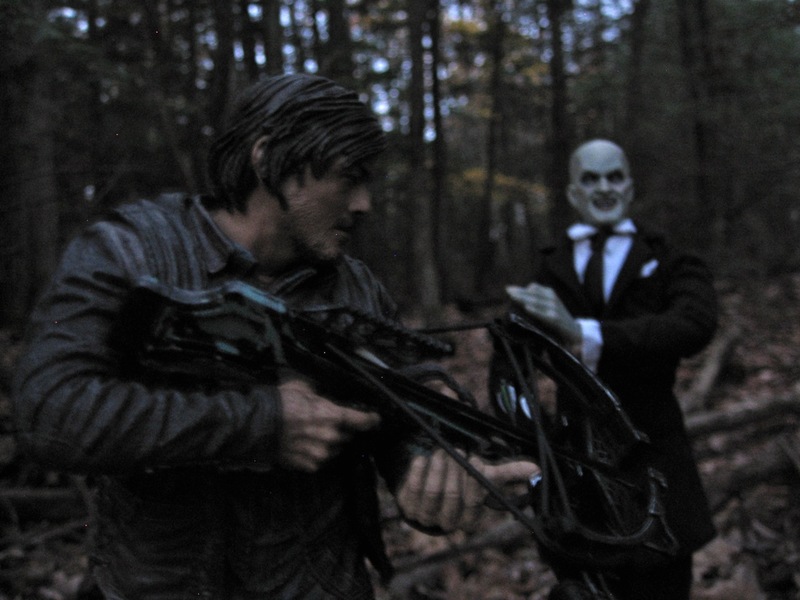 McFarlane Toys' 10" Daryl Dixon Figure from "The Walking Dead"
10" Daryl Dixon meets a Gentleman. 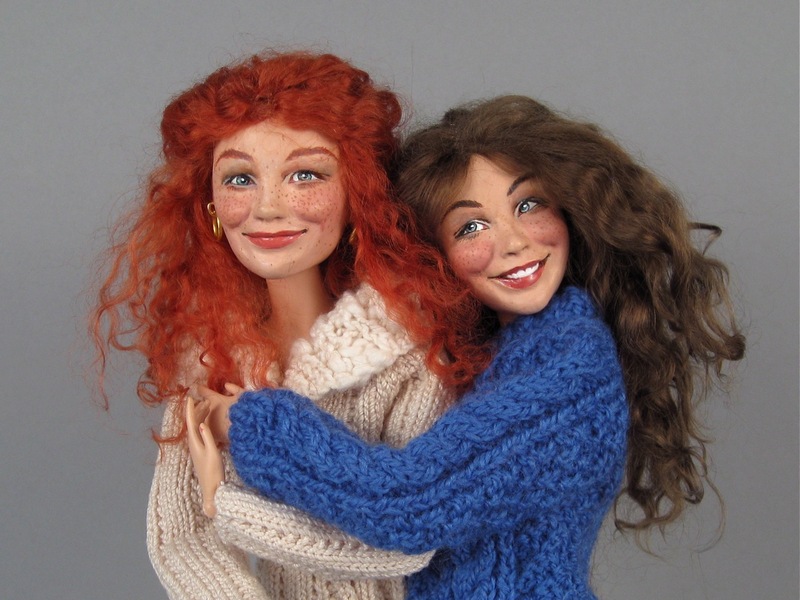 Robert Tonner is one of my favorite doll designers. A few of his Cinderella and Cami dolls rank among my all-time favorites. However, it's been a while since I have reviewed a Tonner doll, and there's a great variety of new faces and characters to choose from right now. For example: I am crazy about the Sheldon and Amy dolls from The Big Bang Theory collection, I'm thrilled to see the return of Tiny Kitty, and I'd absolutely love to have another Deja Vu girl in my house. However, the rascal who grabbed my attention this time around is the 8 inch redheaded Patsyette. 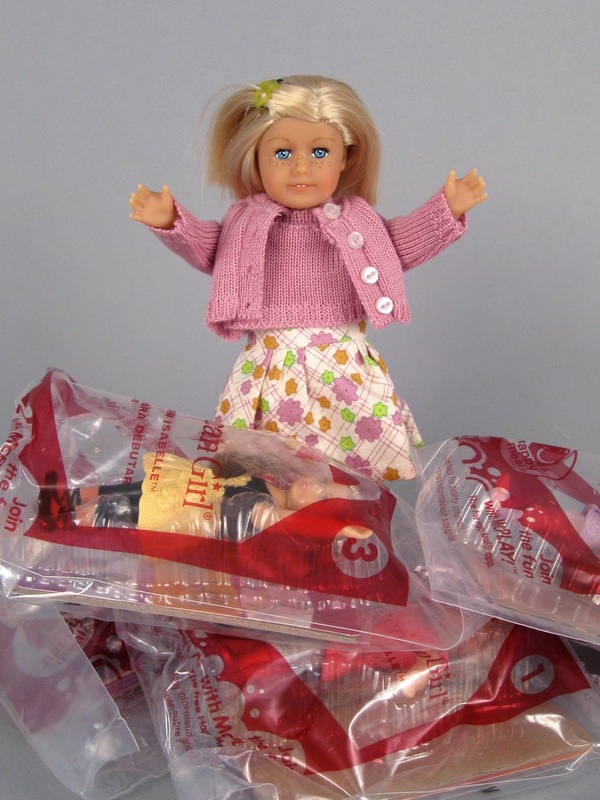 With Tonner's high prices, this basic doll's relatively low $69.99 cost was also part of her appeal. "Basic Patsyette" by Tonner Doll, $69.99. To follow up on Zoe's great review of the Frozen Ice Skating set, I want to do a quick review of one of the other new products from the Disney Store: a Mini Doll Wardrobe set. There are quite a few of these new wardrobe-themed playsets available on the Disney Store site, and they include characters like Cinderella, Sleeping Beauty, Snow White, and even the Frozen princesses. When I saw that the wardrobe version of mini Elsa is wearing her blue ice dress (rather than the coronation clothing of the first mini Elsa), I knew this was the set for me--especially because it's hard to know when these items will sell out again! I will try to give a fair, objective review here, but you know what a soft spot I have for perfect little miniatures of larger dolls...and just look at these two! 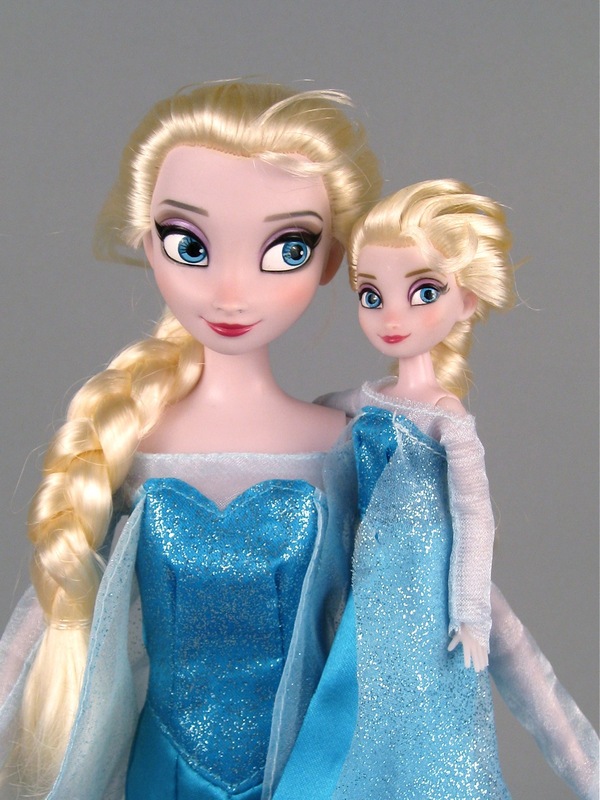 J.C. Penney 12" Elsa doll (left) and Elsa from the Mini Wardrobe set (right). The Anna and Elsa Ice Skating Set from the Disney Store--A Guest Review! Well, it seems like there has finally been an enduring re-stock of Frozen dolls over at the Disney Store. While the 12 inch Kristoff and Hans characters sold out again fairly quickly (and Elsa comes in and out of stock) there are still many great dolls available--including a few new additions. I was just starting to put together a review of one of the new Mini Wardrobe playsets for you when I got an email from Zoe. Zoe has been waiting a long time to write a guest review, and as luck would have it, she recently purchased the exclusive Anna and Elsa Ice Skating set--another new addition to the Disney Store lineup. So, I decided to create a short two-review series to close out this week: Zoe will review the Anna and Elsa set today, and then I will review a Mini Wardrobe set tomorrow. 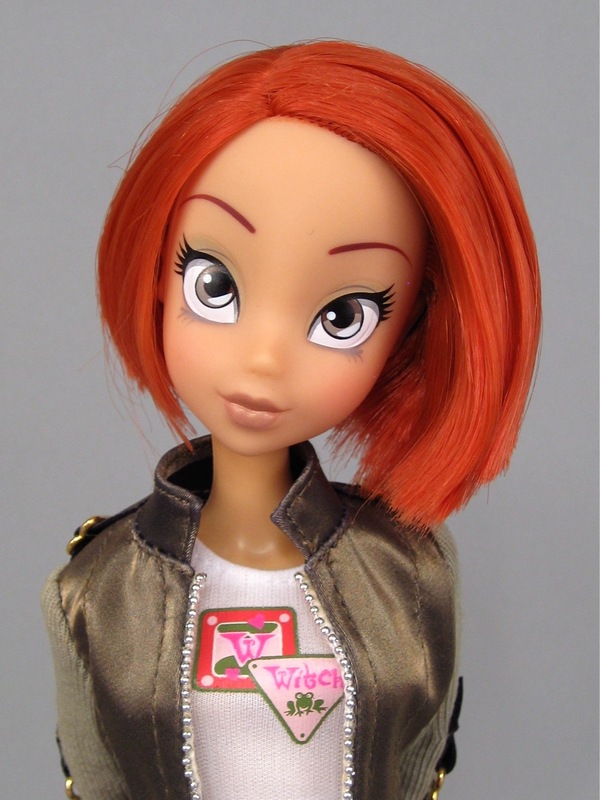 I first met Zoe back in June, right after Samehch's Bratz doll overview. Not only does Zoe know a lot about the early Bratz dolls, but she also shares my passion for Liv dolls and fairy tales. Zoe's fairy tale fondness enticed her into collecting Ever After High dolls, and also many of the Disney Princesses, which gives her some great reference points for this review. Thank you so much for sharing this rare sister set with us, Zoe! Elsa (left) and Anna (right) from the Disney Store Ice Skating set. The Beatrix Girls are 12 inch dolls that represent a group of four (teenaged?) friends who are in a band together. Each character sings, plays an instrument, and writes music. The girls are designed to be role models for young kids because of the talent, determination and hard work that have made their band a huge success. The Beatrix Girls are manufactured by Popstar Club LLC, a new California-based company that plans to focus on cross-platform products. The dolls are part of a multi-media world that includes short (live action) webisodes and tracks of pop music. When I first saw the Beatrix Girls dolls on the shelves at Toys R Us last year, I was turned off by the huge heads and facial expressions on these characters. Frankly, the combination of wide eyes, angrily-slanted eyebrows and large smiles made these dolls look sinister to me. However, the body proportions on the Beatrix Girls reminded me of Pullip and Blythe dolls, and I couldn't help but wonder if this brand might be an interesting and inexpensive alternative to some popular large-headed collector dolls. Stephanie emailed me over the summer to tell me about Double Dutch Dolls, a new company that is producing multicultural, articulated (! ), slim-proportioned 18 inch play dolls. The company's founder, K. Charles, grew up reading Sweet Valley High and Judy Blume books--wishing that there were similar fictional characters who looked like her. Unsatisfied with the current market, Ms. Charles decided to write her own books about spunky, smart, unique and beautiful teens from a wide range of ethnic and cultural backgrounds. The characters in these stories were so real to her, that Ms. Charles decided to turn them into high-quality 18 inch play dolls. 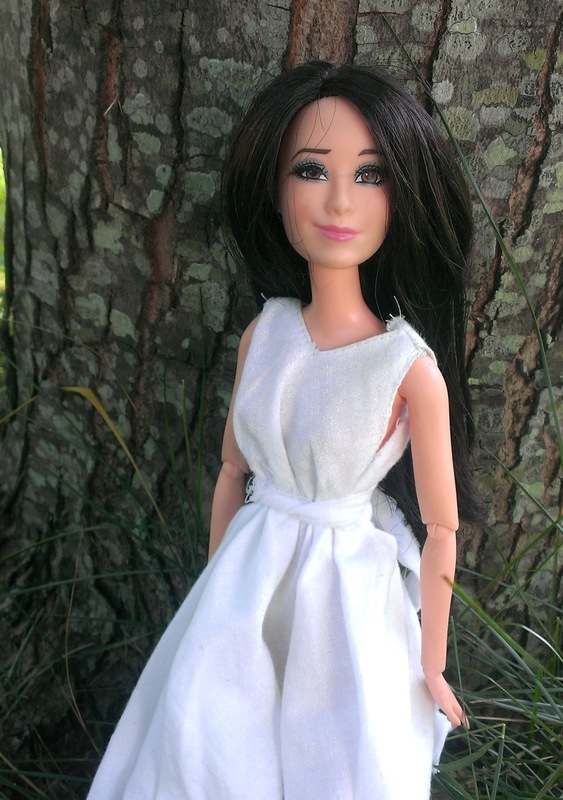 At the moment, only the main characters from K. Charles' book series are available in doll form. These are Kaila and Zaria, identical 14-year-old twins who are navigating the challenges of middle school together. 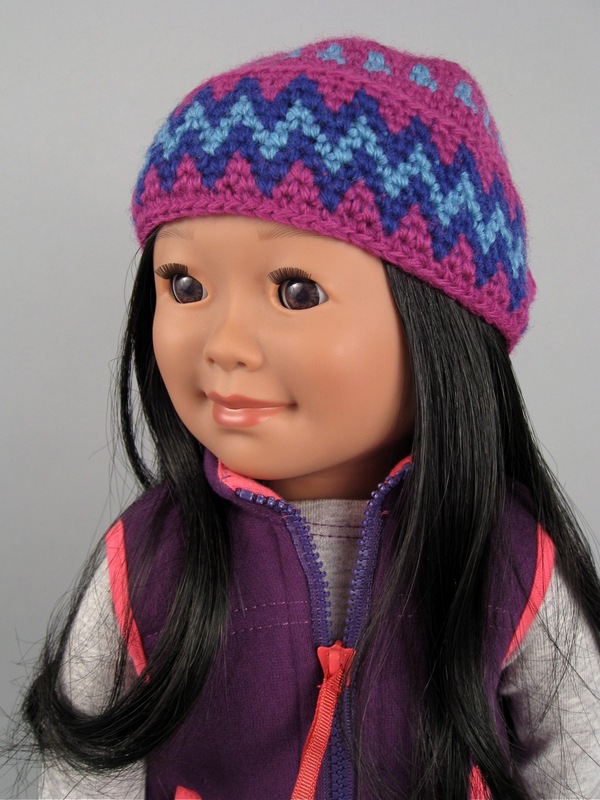 With Kickstarter funding success, the company hopes to introduce a full line of doll characters, including Kaila's best friend Sacha, Zaria's Hispanic friend Alainna, Zaria's Irish/German/Asian lab partner Kadence, and (my favorite!) the redheaded African-American and Norwegian girl, Trinity. 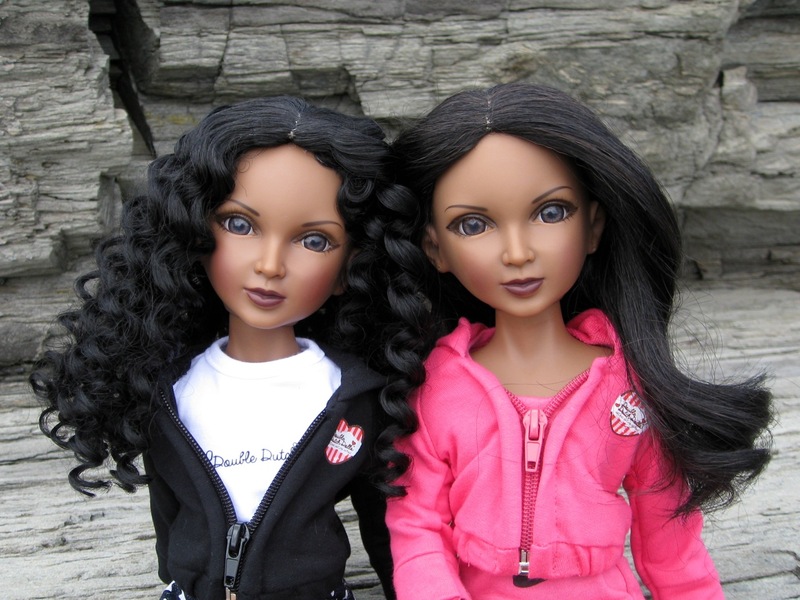 Zaria (left, re-wigged) and Kaila (right) by Double Dutch Dolls. $69.00 each. Zombie Shake "Rochelle Goyle" and "Venus McFlytrap"--A Guest Review! Over the summer, several of you asked if I would consider reviewing the Zombie Shake versions of Rochelle Goyle and Venus McFlytrap. Within weeks of those requests, almost like magic, I got an email from Katla, a lovely Monster High fan from Sweden. Katla emailed to ask if I would be interested in a guest review of this exact Zombie Shake pair...and of course I eagerly said yes. Not only was Katla's email brilliantly-timed, but this is a set that I have been curious about myself. I think Venus and Rochelle are two of the most interesting and unique Monster High characters. I've really enjoyed getting a look at this fabulous zombie pair through Katla's artistic, detail-oriented eyes, and I hope you will, too. Zombie Shake "Rochelle Goyle" and "Venus McFlytrap," by Monster High. Writing a review of the Breyer Let's Go Riding Western set last week inspired me to get some of my Paradise toys out of storage for their long-delayed review. I have reviewed a few of the Paradise horses before, but only the larger animals designed for 18" play dolls. 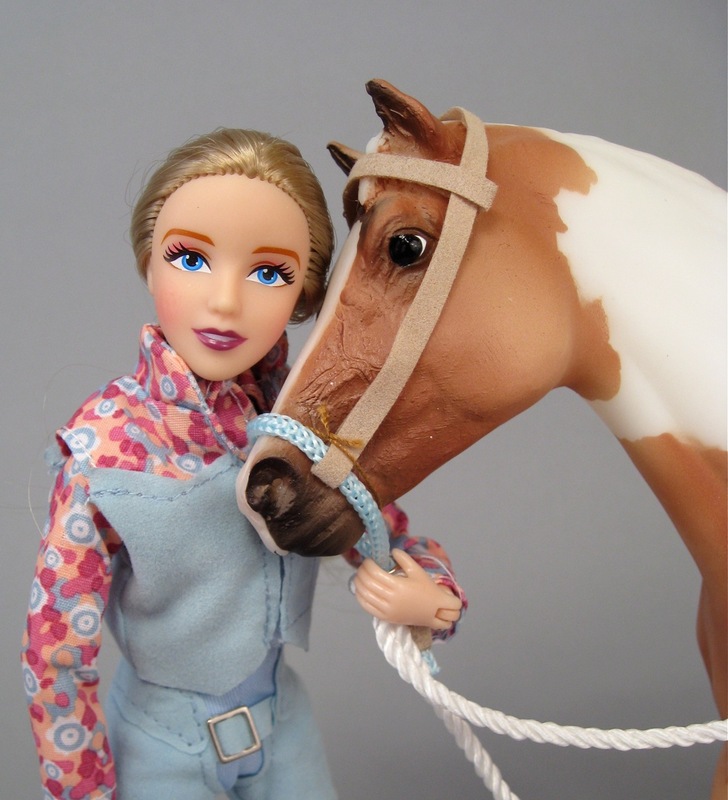 I was so pleased to see the level of articulation on the Breyer doll, I wanted to find out how the Paradise riders compare. Also, as a long-time fan of Breyer model horses, I was curious about the equivalently-sized 1:9 scale articulated Paradise horses. This scale of Paradise toys has a few size options. There are 9.5 inch horses (measured from hooves to ear tips) and also 8.5 inch ponies. The riders also come in a few sizes. In the Barn Buddies collection, there are 7.5 inch "adult" dolls to fit the horses, and 6 inch child dolls for the ponies. The newer Cowgirl Cool collection of riders contains 10 inch dolls that I suspect are made to fit a different group of Paradise horses--the 10 inch fuzzy-skinned ones that look like miniature My Life As horses. 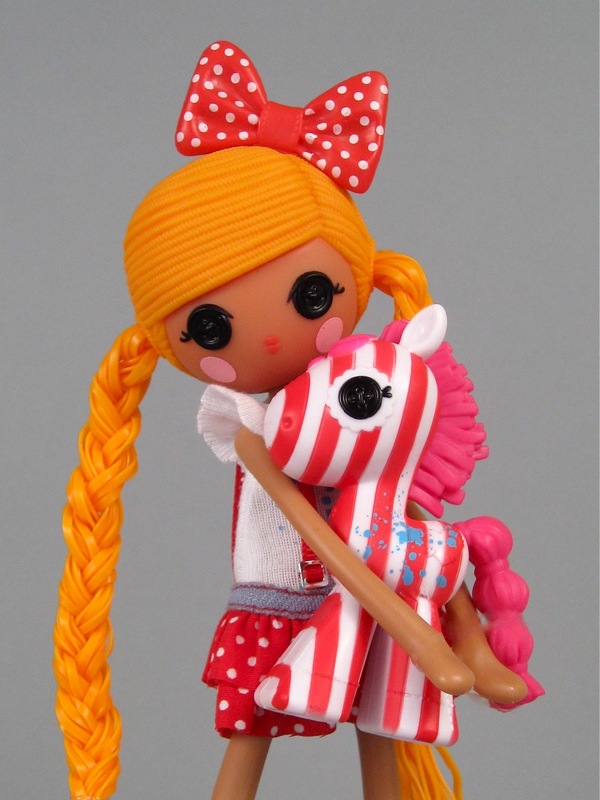 Today I will review a 9.5 inch (non-fuzzy) horse and one of the larger Barn Buddies dolls. This review will serve as a companion to the Breyer post, and my hope is that it will provide a resource to help horse lovers figure out which company's 1:9 scale horse and rider toys are best for them. Paradise Barn Buddies "Eva," and horse "Merlin." When I was a kid, I had a huge collection of Breyer model horses that was the center of my imaginary universe. Every last one of these horses had a name, a personality, and a specific role in an elaborate game that I would lose myself in whenever I got the chance. I played with these beloved horses more than I played with any doll. Most of my games revolved solely around the horses, but every once and a while there would be doll riders in the plot. I had some Mego Corp Wizard of Oz dolls and a Marx Jay who could ride really well, but I was never tempted by the Breyer dolls. 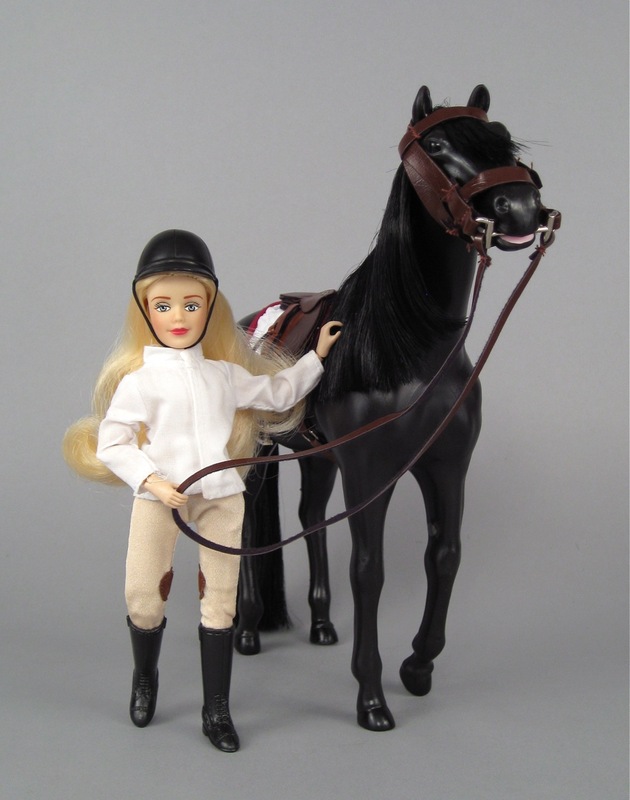 The first dolls, called "Brenda Breyer," had blank-looking faces and weren't articulated enough to ride the horses properly. I still gaze admiringly at the Breyer horse displays in toy stores, but I haven't purchased a new horse for a while. 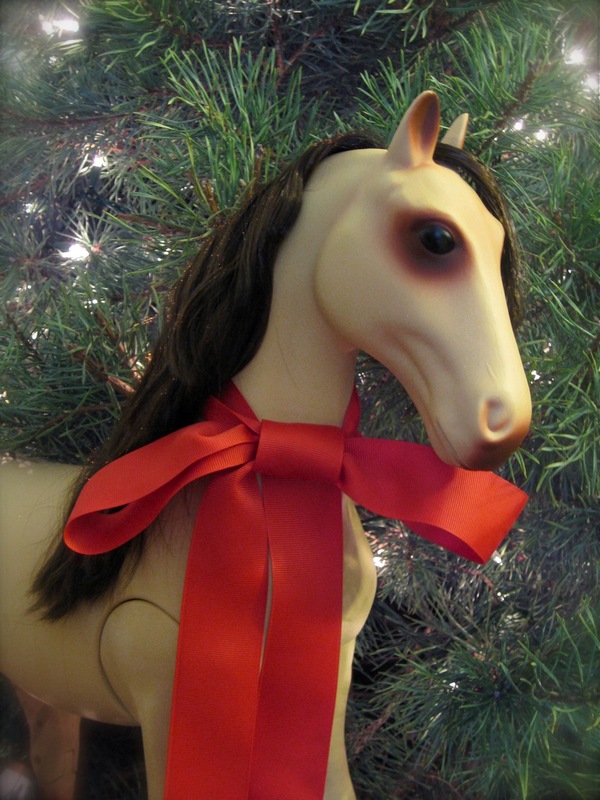 Recently, a friend told me about the Breyer Stablemates "Mystery Foal Surprise" sets. It's hard to think of three words that would entice me more than mystery, foal and surprise. That's a triple threat. These little $10 toys each contain a mare and a stallion, and also a tiny foal that's concealed behind a closed door. I can't resist surprises, so I bought one of these sets on a whim the other day (some pictures are posted over on Facebook). This experience inspired me to put aside my Breyer rider prejudices and look more closely at the doll-related products that this company is offering right now. "Let's Go Riding Western" set by Breyer, $39.99. 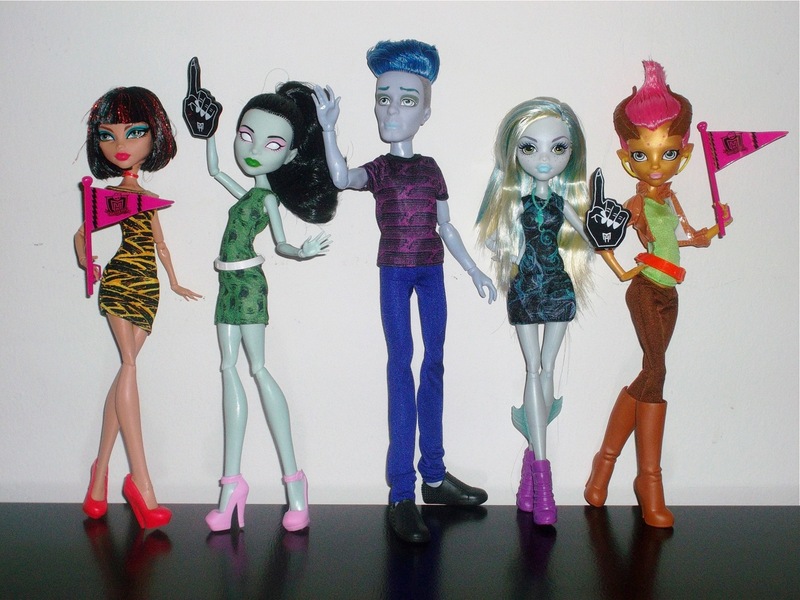 "We Are Monster High" Five Pack--A Guest Review! I am happy to share a guest review with you today, and am especially delighted to welcome back a previous guest, Toy Town, for another fun Monster High review. Toy Town reviewed the Power Ghouls Cat Tastrophe doll for you last November, and is here today to look at the large "We Are Monster High" set. This tempting multi-pack has five dolls, including a new character, Gilda Goldstag, and one of the elusive Monster High males, Sloman Mortavich--also known as "Slo Mo." Please tell us more about this intriguing set, Toy Town! Hello everyone, Toy Town here! Today, we will be looking at the new We Are Monster High 5 pack! I know a lot of you are wondering if it’s a must-have or not, so I’ll share my personal opinions about this pack and hopefully it will help you decide. We Are Monster High set, $56.99. Princess Malucia from "Barbie and the Secret Door"
Like my previous reviews of the Kitty Surprise toys, this is a post that I didn't plan on writing. During one of my "research" outings a few days ago, I saw a doll in the Barbie section that stopped me in my tracks. I'd never seen this particular doll before, and she intrigued me to the point that I put everything else on hold so that I could take a closer look at her. Judging by other pictures that are cropping up on places like Flickr, I am not alone in my reaction to this character. Barbie's "Princess Malucia" flanked by Madeline Hatter (left) and Poppy O'Hair (right). I had such a fun time with my Kitty Surprise cat, Snow, that I decided to buy one of the new Puppy Surprise toys, too. I was especially interested to see the dalmatian character, "Gigi," because she is advertised as having two "magic" babies with eyes that can change from open to closed with the application of cold water. That sounded fun and intriguing to me...even though I was warned that the effect wasn't great. This will not be a full review of Gigi and her puppies, but just a quick description of this toy and some of the things that were different from what I experienced with Snow and her kittens. Two puppies from Puppy Surprise, "Gigi." Once again, I got sidetracked from another review I am writing because of a routine stop at Toys R Us. I don't regularly check the stuffed animal section at this store, but the other day there were no new dolls to look at, and so I wandered into some less-frequented aisles. To my amazement, I saw three pink boxes with Kitty Surprise plush inside! I absolutely love surprises, and so this is one of my favorite toys of all time. 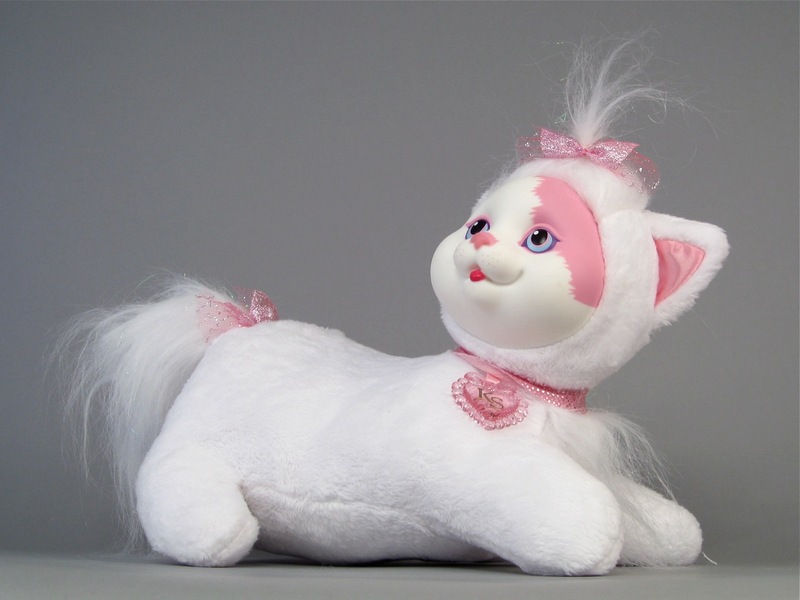 The "Surprise" line of stuffed toys started way back in the early 1990s with vinyl-faced plush dogs, cats, ponies, bears and bunnies that came with an undisclosed number of babies in their bellies. The original animals were released by Hasbro. Playskool (a division of Hasbro) re-introduced the line in 2005 with a few changes. The new animals (only cats, dogs and rabbits this time) did not have vinyl faces and resembled more typical stuffed toys. A couple of years ago, I looked at some of the Puppy Surprise toys that were made by Playskool in 2005. Those toys didn't last long on the market, and so when they were discontinued, I figured we had heard the last of this brand. Kitty Surprise "Snow," by Just Play, $24.99. 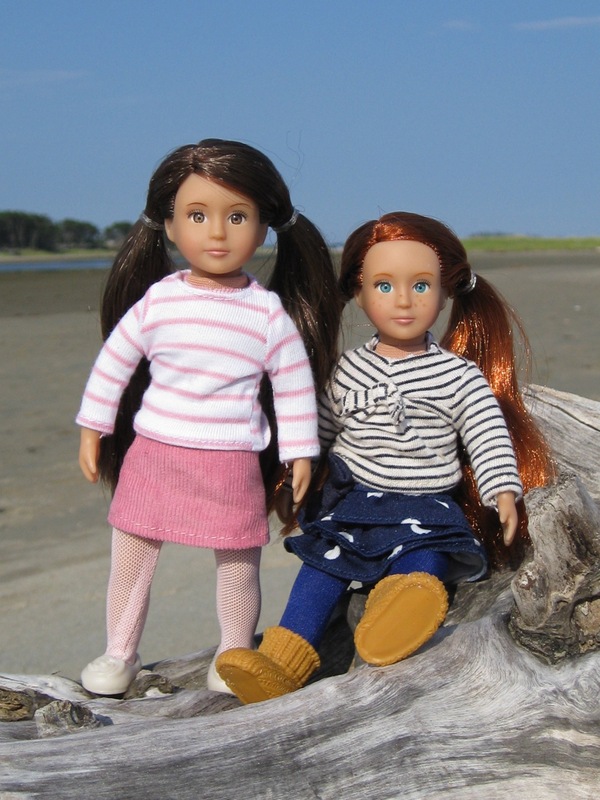 Just a few days shy of a year ago today, I reviewed the mini Rebecca and Kit dolls from American Girl. Little did I know back then that these dolls would be re-designed and re-released within the year. 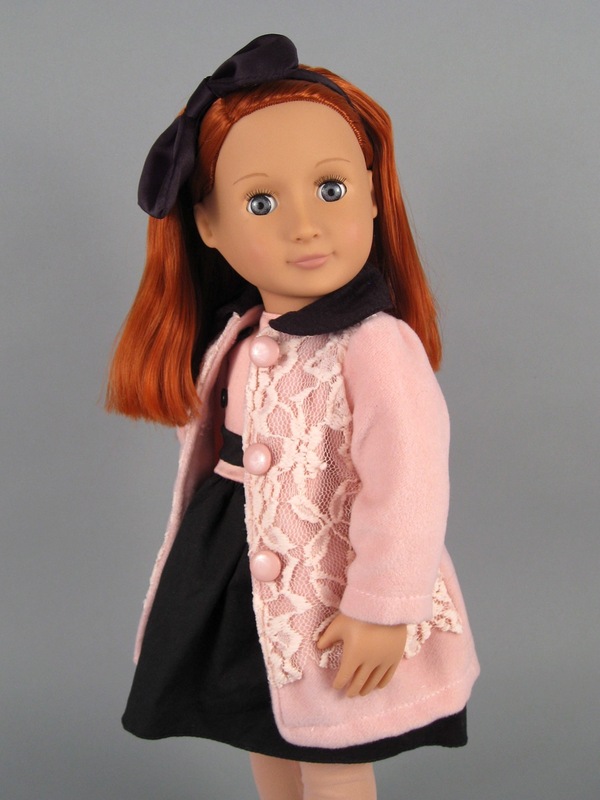 At the end of August, American Girl released a re-imagined version of their Historical line called BeForever. This maneuver seems designed to help modern girls feel more connected to characters from the past. In the advertising, there's a big emphasis on values that transcend generations. There are also new collections of girls' clothing that incorporate themes from the historical dolls into modern designs. What does the BeForever change mean for the actual dolls, though? In the 18" scale, the new dolls are largely the same as the old Historical collection dolls, with a few noteworthy changes. 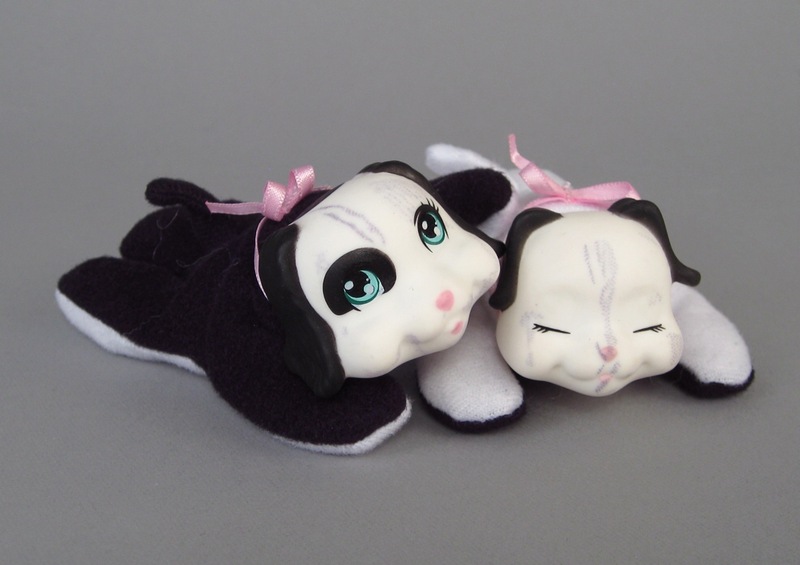 First of all, two of the characters (Cécile and Marie-Grace) were discontinued. Another character (Samantha) was brought back from the archives, and all of the re-released girls got new outfits. I learned early on from many of you that the new versions of the mini dolls had different face molds and full vinyl bodies, so I was especially interested to see these smaller dolls in person. New BeForever mini Kit (with old mini Kit in the background). What a week this has been! I apologize for not being present in the comments section recently, but I have been reading and appreciating every comment--or at least every comment that isn't spam (did you guys see those crazy ones last week? Whoa). There have been a few minor changes here on the blog that I'd like to mention. First, I had to shorten the format of my feed as part of a time-consuming battle against someone stealing my content. What a drag. However, on a positive note, I am on Twitter now (@ToyBoxEmily) and am paying attention to my poor neglected Facebook page (about time, right?). So that's all good. Anyway, last week I was working on a different review when I got an email from Nonna (of Mommy's Doll Club). She told me about the new My Life As dolls at Walmart and asked if I had seen them. I actually did see these newcomers during my Sparkle Girlz quest, but dismissed them pretty quickly because I wasn't crazy about the new faces at first. Nonna bought one of the new girls (a redhead!) and made some neat observations, tempting me into purchasing my own doll for a closer look. At the same store where I bought my doll, I found another exciting My Life As release that I will show off at the end of the review. I never would have written this review without Nonna's tip, so I want to start the post by having her share some of what she found with her doll (My Life As a Party Planner, redhead), before I review the doll I chose (My Life As a School Girl, brunette). Thank you so much for the inspiration, Nonna, and congratulations on your beautiful new blog! New My Life As doll, "School Girl" (left) and older My Life As doll, "Outdoorsy Girl" (right). 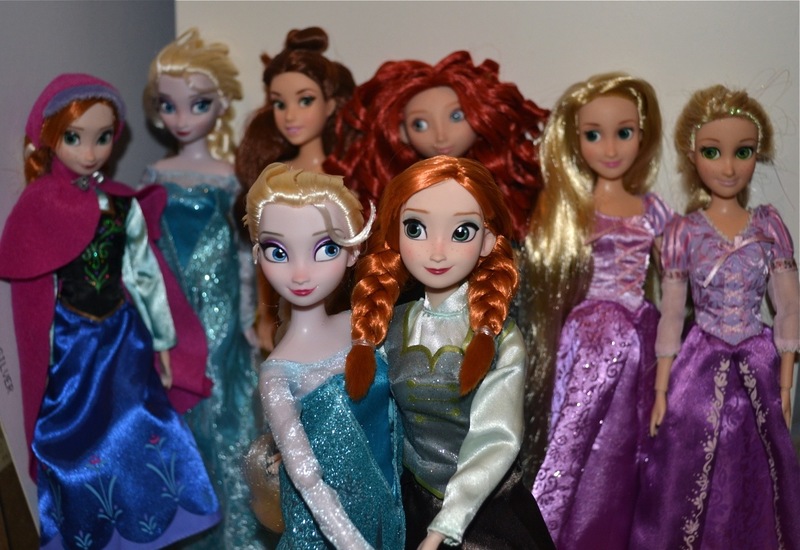 2013 and 2014 "Ariel" and "Merida" from the Disney Store--A Joint Review! The Disney Store tends to release their new versions of the Classic Princess dolls every summer, and I have been slow this year in taking a look at the new lineup. 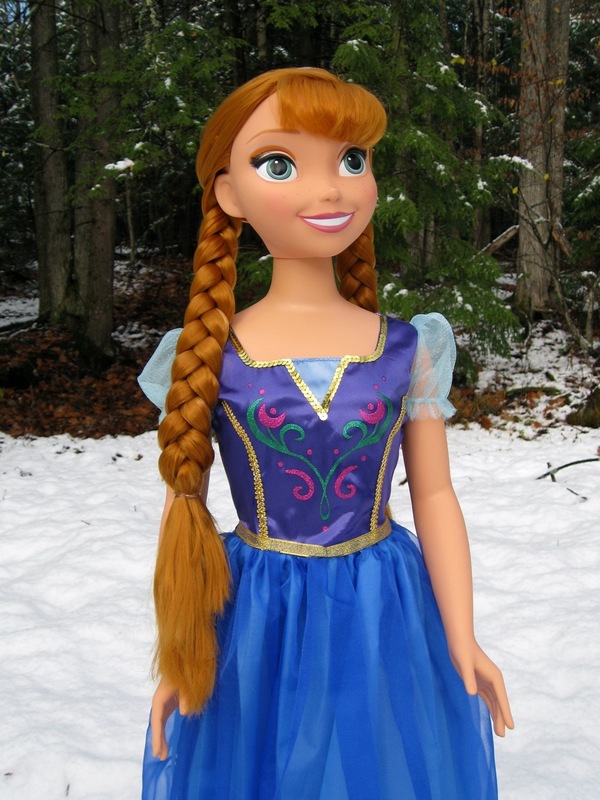 I assumed that Anna and Elsa would be generously re-stocked (and perhaps re-designed) as part of this summer release, but I am amazed to see that the Frozen dolls are still only fleetingly and unpredictably available online. All of the other Princesses are readily available, and there are even some new deluxe sets that look appealing. I have plans to review the Rapunzel Deluxe Talking Doll set that I bought, but today I am going to look at two of the redheaded Classic Princesses--Ariel and Merida. I am always curious to see what differences there are in the Disney Store dolls from one year to the next. Some years the releases are very similar to their predecessors, but other years bring big changes--like new face molds, or (as in 2012) completely re-designed legs. Last summer I chose Rapunzel and Mother Gothel to review, so I don't have the 2013 Ariel and Merida dolls here for a direct comparison. Fortunately, my friend Morgan (who you met in the first Fusion post) has both of these dolls and agreed to help me write up this review. Morgan will show you the 2013 Ariel and Merida, I will show you the 2014 dolls, and then Morgan will end the review with a side-by-side comparison. 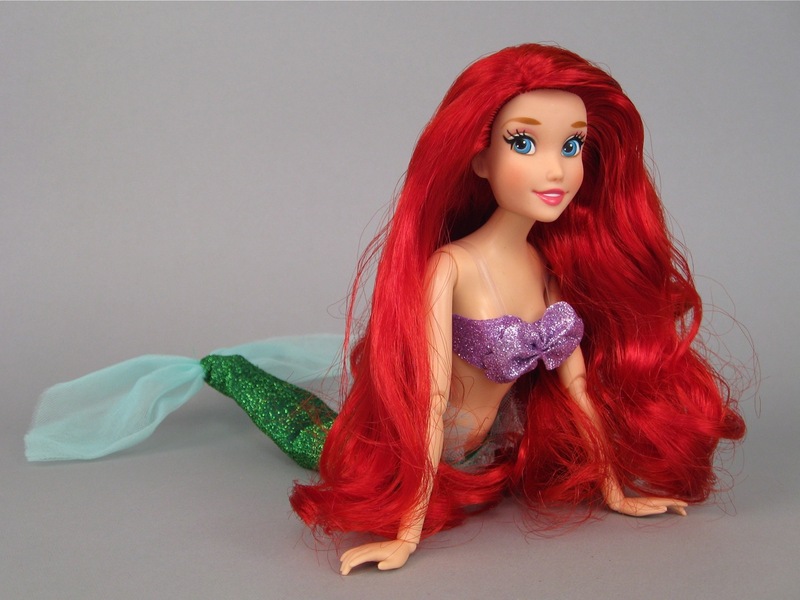 2014 Classic Ariel from the Disney Store. There is a lot of talk and excitement about the American Girl BeForever release. Personally, I am particularly interested in the new mini dolls, since it seems that they have all-vinyl bodies and different face molds. These new American Girl dolls, along with Battat's recent Our Generation mini release and the cute little Moxie Girlz sibling dolls, make for a very exciting season for those (like me!) who enjoy smaller dolls. I have to be patient and wait for my BeForever dolls to arrive, so rather than look at something brand new today, I am going to go back in time and look at Battat's mini doll series from 1999. While I was writing my review of Battat's newest Our Generation minis, I did several online searches to see what I could learn about the company and its history. Apparently, Battat has made a few different mini dolls over the years. 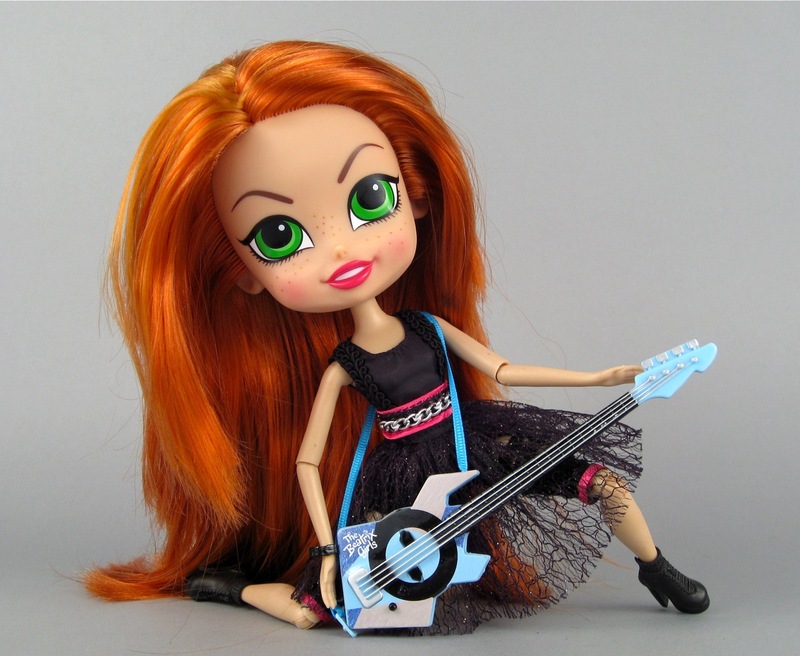 In 2011, there were 4-inch Our Generation vinyl dolls with rooted hair. These minis came packaged with a book and an assortment of accessories. More than a decade earlier, when the Battat doll line was called "Collector's Lane," there was a group of cloth-bodied 6-inch mini dolls. Like the current Battat minis, these dolls were made to be little replicas of the concurrent 18-inch characters. Because of the similarities in construction and size between the new Our Generation minis and the Collector's Lane dolls, I decided it would be fun to see how Battat's smaller dolls have changed over the last fifteen years. 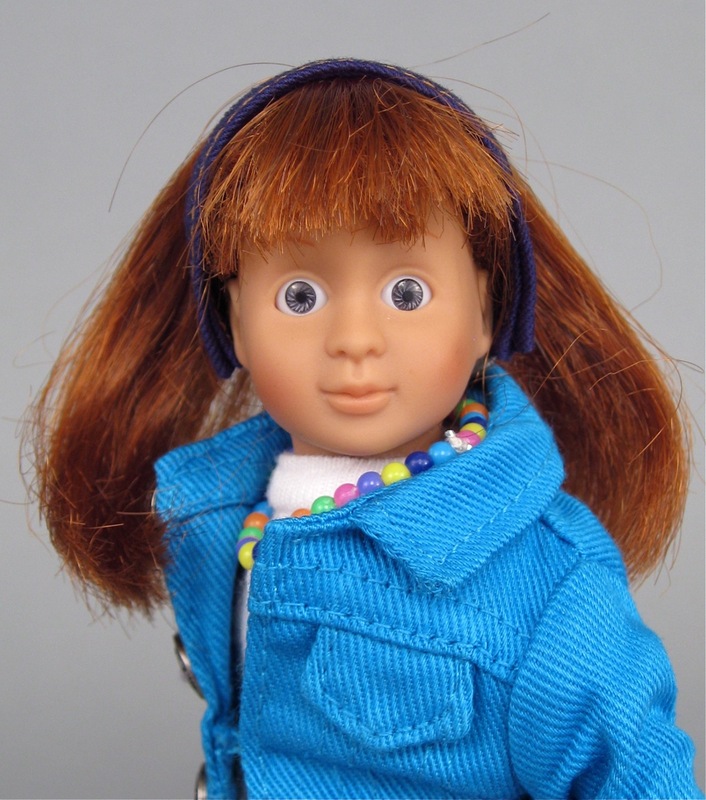 Battat's Collector's Lane Kids mini "Rachel" doll. 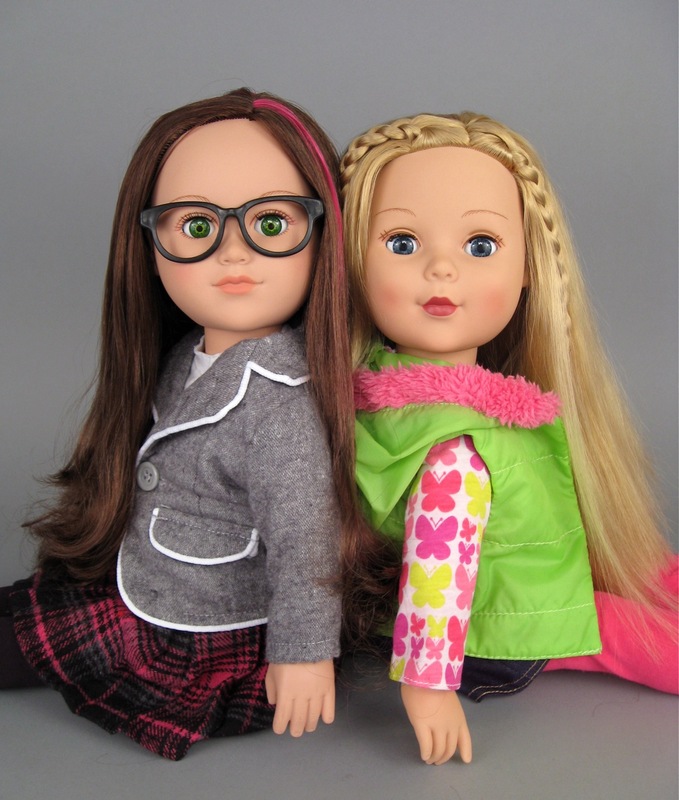 I had so much fun reviewing the new Moxie Girlz Friends dolls and the Battat Our Generation minis, that I've stayed focused on smaller dolls for the last week or so--hunting around locally and online to see what else is out there in the 5-10 inch size range. Locally, I visited Target, Walmart, Toys R Us and the Dollar Store to see what mini dolls are readily available here in my part of the world. Online, I hunted down some older Battat mini dolls that I learned about while researching the new dolls. 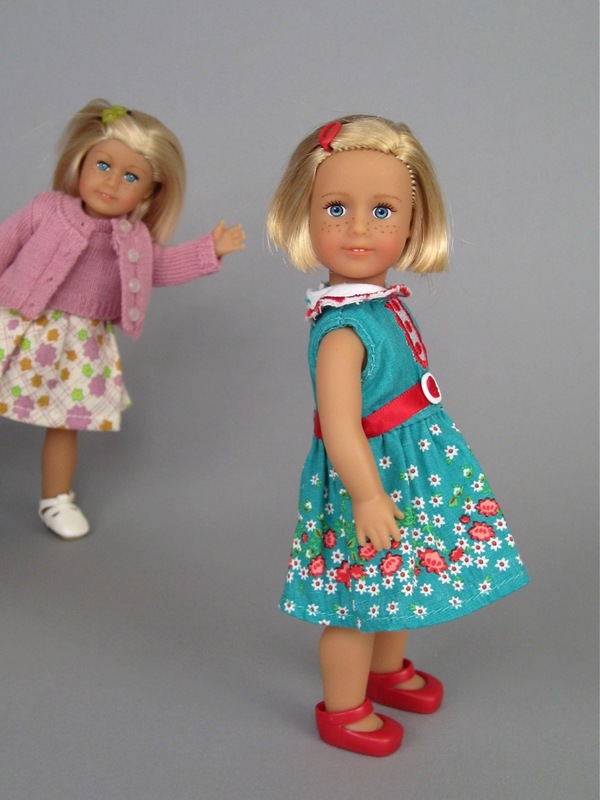 In a two-part mini series, I'll show you my favorite dolls from this search: the Collector's Lane Kids 6-inch dolls by Battat (that'll be Part 2...), and today, the inexpensive line of 4-inch dolls from Walmart called Funville Sparkle Girlz. There are a few different sizes of Sparkle Girlz. There are 20-inch play dolls, 12-inch fashion dolls, and 4-inch toddlers. I was interested in the toddlers for this review, but these smallest Sparkle Girlz are actually quite hard to find around here. There are four Walmart stores in my immediate area, and I've visited all of them within the last five days. All of these stores had plenty of the larger dolls, but most had only one kind of mini...or just empty cardboard display cases. Since these dolls cost $2.47, it's no surprise that they are hard to keep in stock. At the very last Walmart I visited, I finally found a representative variety of little Sparkle Girlz. 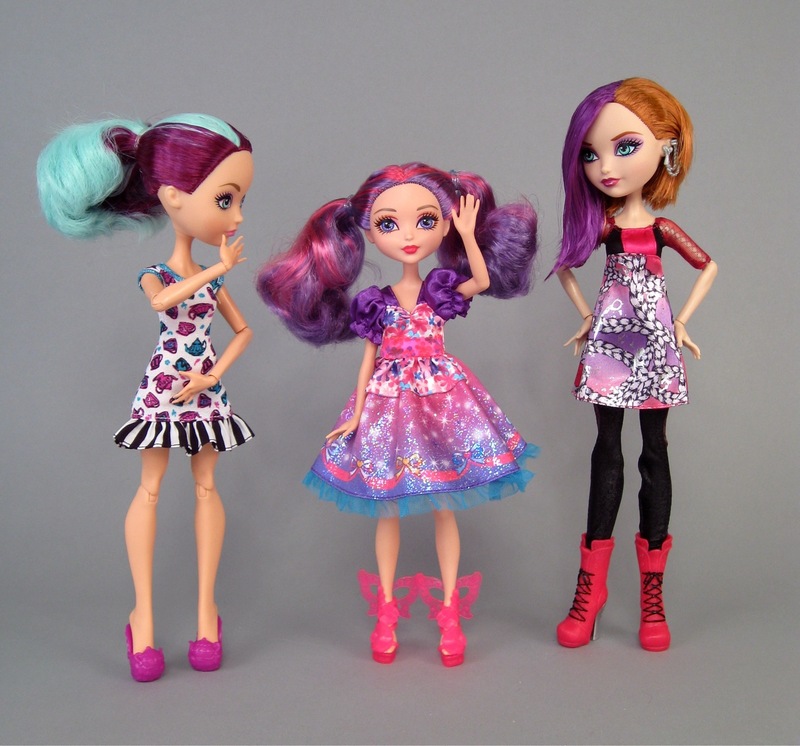 In this post I will show you four different dolls from this series and contrast them to the comparably-priced Moxie Girlz Friends dolls. 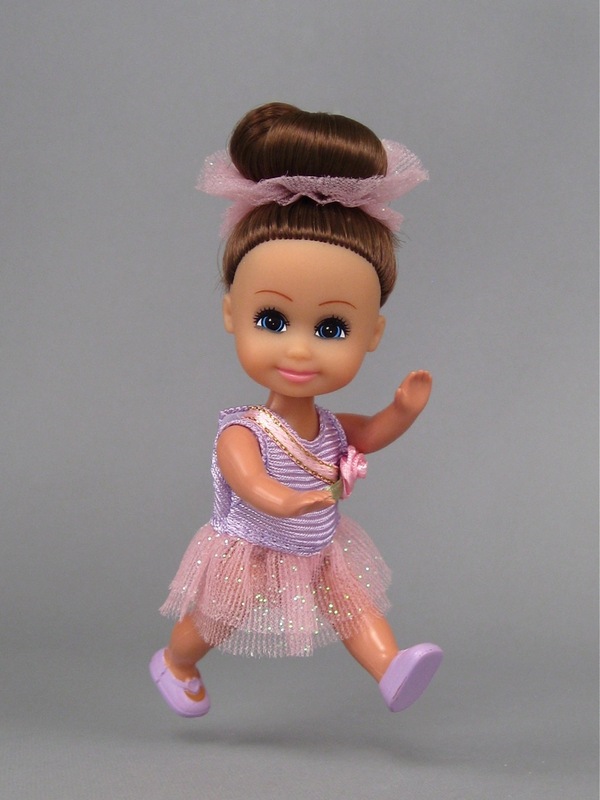 Funville Sparkle Girlz "Little Ballerina" mini doll. 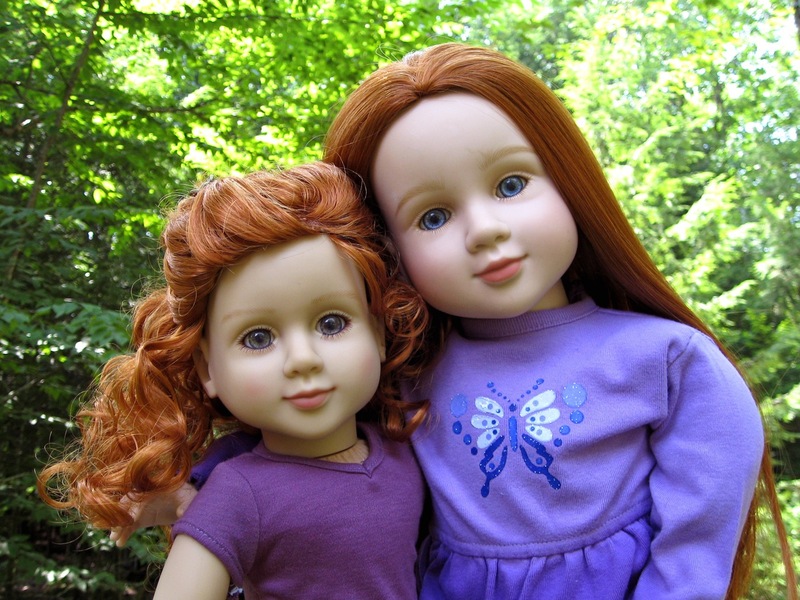 Doll Durability: American Girls, Journey Girls and Hearts for Hearts Dolls--A Guest Review! My next guest reviewer, Emma, emailed to ask if she could write a piece on how some of her larger-scale dolls have weathered a few years of play. I think this is a brilliant idea. I am always reviewing new dolls right out of the box, but that's only the first step in determining quality. 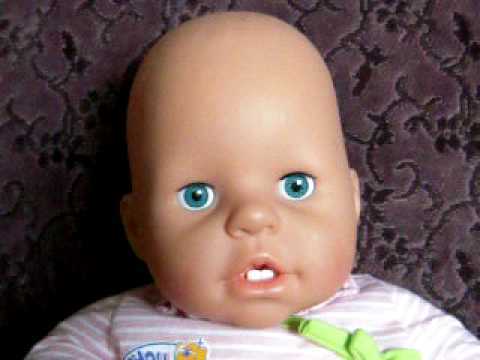 I think that the durability of a play doll over time is the true test of its worth, and this is something that I would really like to learn more about. Not only was Emma's review idea great, but I think you'll agree that she's done a nice job of summarizing her experience with three popular brands of doll: American Girl, Hearts for Hearts and Journey Girls. I am very grateful to Emma for her hard work, creativity, and professionalism in bringing this new dimension to the blog. This topic is so interesting to me that I hope many of you will contribute your own experiences in the comments section. I am very curious to know how other well-loved dolls have stood the test of time. In fact, I'd love to get some photographs of your older dolls (which you can email to toyboxphilosopher@gmail.com) so that I can add them to the bottom of this review. 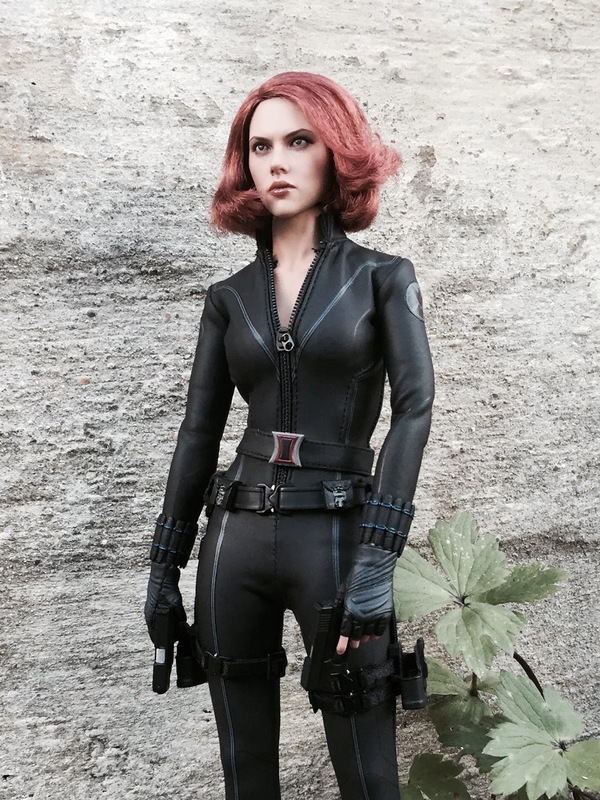 If we keep this discussion limited to the 18" scale dolls that would be great, but I will think about ways to add "Doll Durability" posts as a recurring feature. That's enough chatter from me--I am excited to sit back and hear what all of you have to say on this subject. Take it away, Emma! 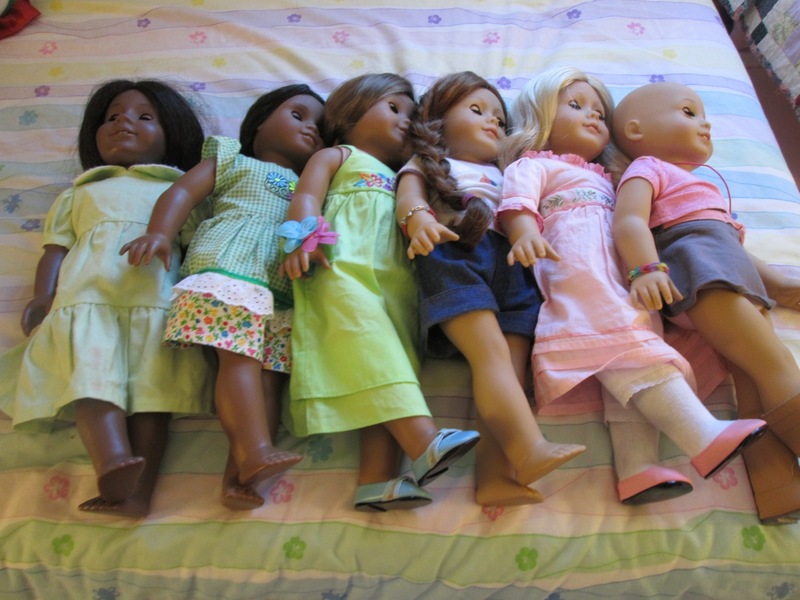 American Girl dolls of various ages. On the same day I found my Our Generation mini dolls, I also saw the new (Target exclusive) Moxie Girlz minis for the first time. It was a mini doll kind of a day, I guess. The Battat minis grabbed the spotlight, but I wanted to show you some of the Moxie minis, too. These dolls are pretty cute, but what really impresses me about them is their price. They are $2.99 each, which is hard to beat. I think Walmart's Sparkle Girlz are less expensive at just under $2.50, but I can't think of much else. Even some of those blind bag foil-wrapped toys cost more than this. Moxie Girlz Friends mini dolls, $2.99. 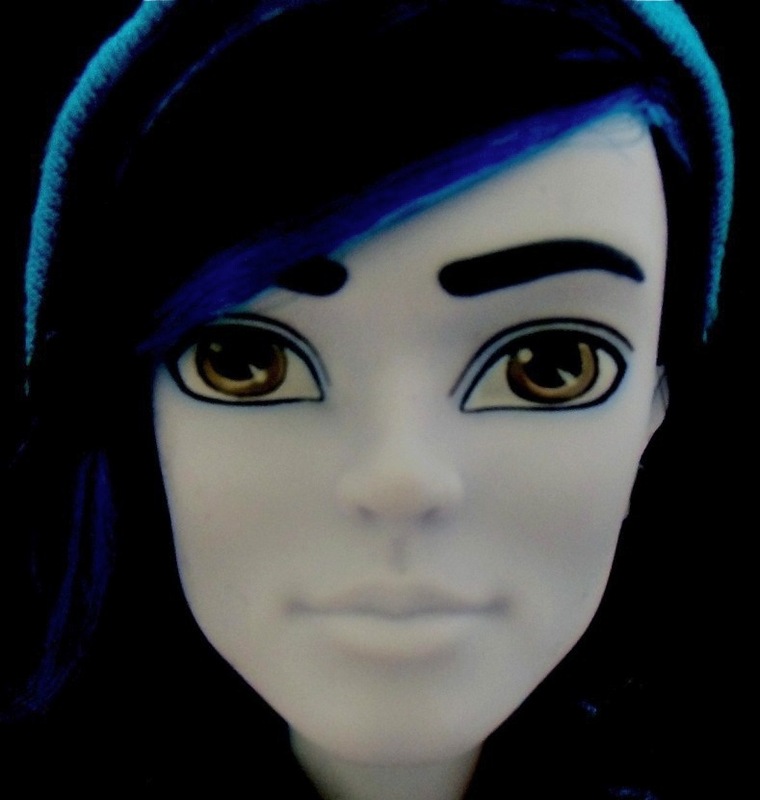 Scaremester "Invisi Billy" by Monster High--A Guest Review! I have two neat guest reviews for you this week, but they are about two very different things, so I decided that instead of doing a Review Fusion post, I will publish the reviews separately with a little break in between. This first review is written by Ana, a new friend of mine from Italy. 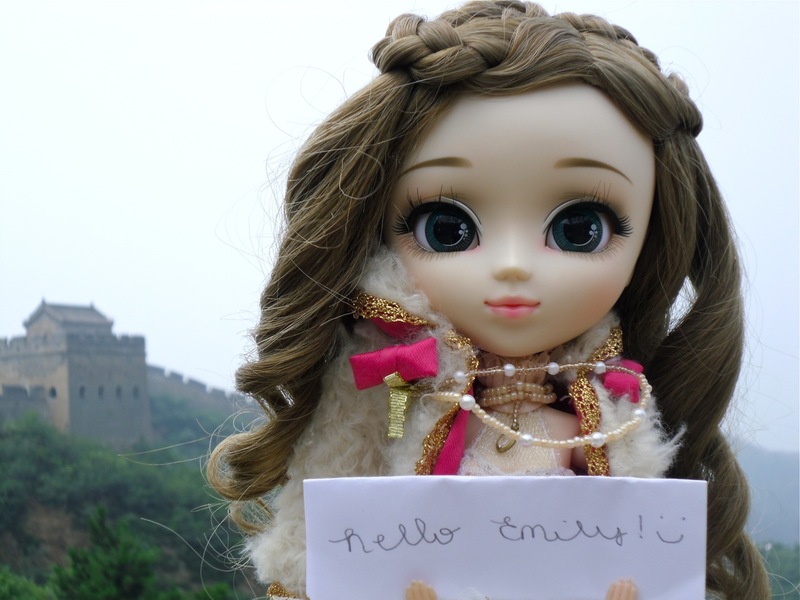 I always get extra-excited to share reviews from different parts of the world, because I think they highlight the universal and timeless fascination with dolls in our culture--a phenomenon that makes me really happy. Ana and her six-year-old daughter Ellie are fortunate to share a passion for dolls, and are both particularly fond of the Monster High characters. Ellie is a girl after my own heart, and has an impressive collection of the Monster High werecats and werewolves. 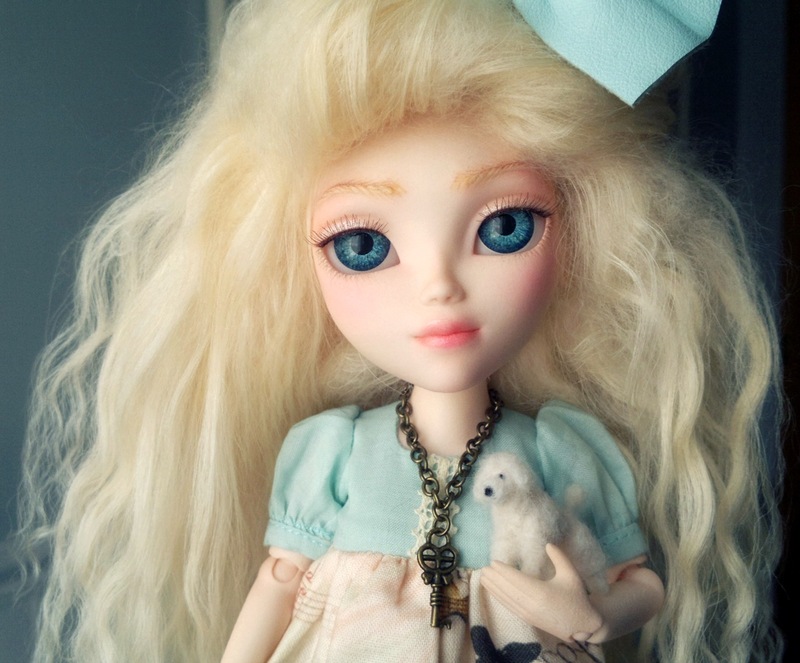 Ana's own favorite dolls are Scarah and Venus, who she likes for their beautiful personalities. From the short time I have known Ana, I can tell you that her personality is equally lovely. Ana is just the right person to review one of the new Monster High boy characters, Invisi Billy, because she has an extensive collection of ghoulish guys and a keen eye for their similarities and differences. Without further ado, I will turn the post over to Ana! "Invisi Billy" by Monster High. My husband was reading the New York Times the other day and stopped to ask me if I knew anything about Doc McStuffins. I giggled a little at the name (while picturing Doctor Dolittle, Doctor Who and other such doctor characters...) and said, "nope." Well, as it turns out, I should have known about Doc, because she's the lead character from a new animated Disney Junior television series called Doc McStuffins. This show has become incredibly popular among preschool children (and their parents) and the merchandise is starting to appear in all of my favorite stores. 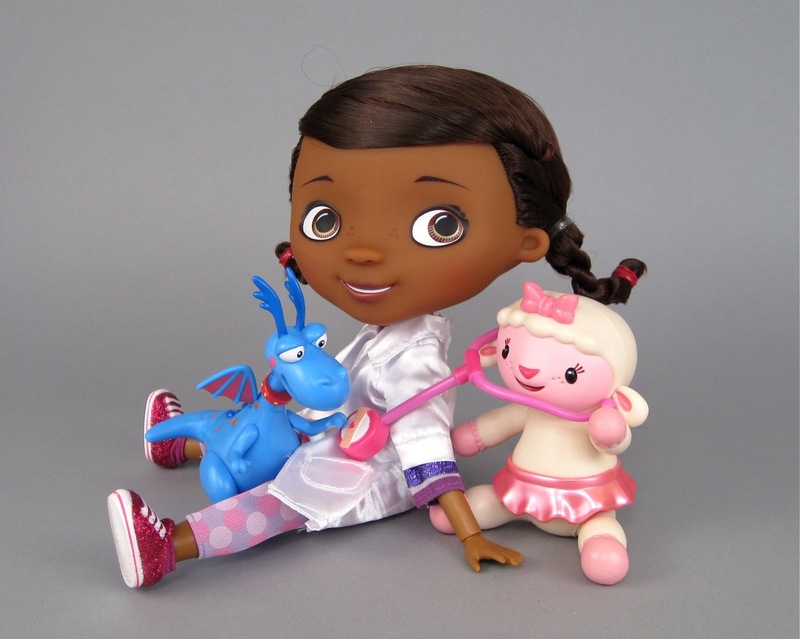 Dottie (aka "Doc") McStuffins is a six-year-old girl who has a special way with stuffed animals and toys. 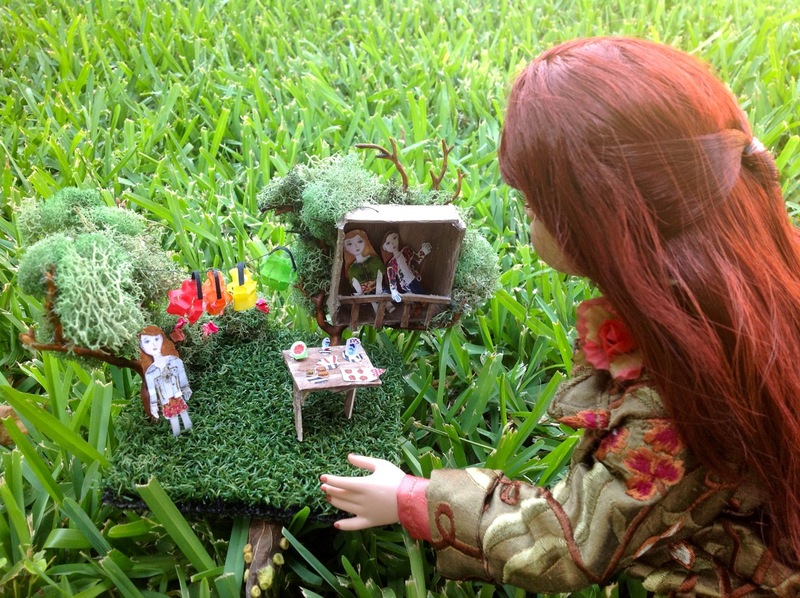 Following in the footsteps of her physician mother, Doc has set up a small toy hospital inside her backyard playhouse. In each television episode, Doc fixes or helps a different toy, imparting simple bits of wisdom along the way...and glowing with a kindhearted, intelligent personality. Miss McStuffins got the attention of the New York Times because she's black, and because she represents a success story for Disney--a company that has been working hard to overcome the racial and gender stereotypes of their past. I certainly recommend taking a look at the Times' article. It's short, well-written, and it outlines the reasons why this show is a big deal, both for Disney, and also for a multitude of families who have been waiting for an African-American roll model just like Doc. I watched several episodes of Doc McStuffins and quickly became enchanted. It's fantastic. If my kids were younger, this is what we'd be watching. When I was a child, Doc's animal-loving personality and affinity for toys would have made her my hero. As a quickly-converted fan of this show, my first question became: "which is the best Doc Mc Stuffins doll out there?" Today, I will review two of the larger Doc dolls. One of them is sold at the Disney Store, and the other is made by Just Play and can be found on the shelves of Toys R Us, Walmart, Target and other big box locations. After finding Avea Trotter, who for me is the ultimate Monster High doll, I didn't think I would be spending as much time in the Monster High aisles of my regular stores. However, I have found myself quite interested in seeing the new dolls come into stock--particularly the remaining items in the Freaky Fusion line. It's fascinating to see the different combinations of characters. So far, my favorites are Lagoonafire (Lagoona and Jinafire), Dracubecca (Draculaura and Robecca) and maybe Neighthan Rot...although I still think he should have been a centaur. Anyway, while I was examining these mixed-up monsters last week, I noticed a lone box with a slightly different design sitting off to one side. At first, the bright neon colors on this box reminded me too much of the Sweet Screams collection and I was a little turned off. But then, I found myself seduced by how many accessories seemed to come with this doll for her relatively low price--it looked impressive. Finally, a single sentence made me grab the box and head straight for the checkout: push brain to change my eyes. Well, that's the kind of thing you don't have to tell me twice. I was sold. This ghoulish temptress had me at "push brain." Inner Monster doll, "Fearfully Feisty and Fangtastic Love" $21.99. W.I.T.C.H. Dolls "Taranee" and "Will" by Giochi Preziosi--A Joint Review! My next guest reviewer, Emma, emailed me over a year ago to ask if I had ever considered reviewing any of the large range of dolls made by Giochi Preziosi. I didn't know much about this Italian toy-making giant at the time, so I thought it was an excellent idea--and a great learning opportunity. Emma recommended several of the Giochi Preziosi doll lines, including the Winx Club dolls, the Sailor Moon series, and (most enthusiastically) the girls from the W.I.T.C.H. comic books. I took Emma's advice and ordered several of these dolls for review. I messed up with the first doll I ordered, though. 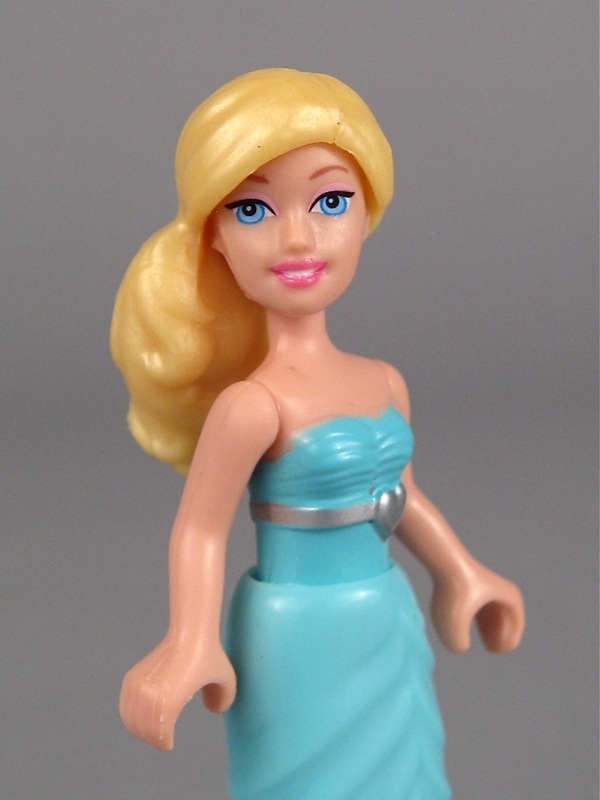 I ordered a Winx Bloom doll with a Giochi Preziosi label, but learned that I had actually chosen a Witty Toys Boom doll that is merely distributed by Giochi Preziosi. Six months later, I am trying again--this time with the invaluable help of Emma herself. This review will focus on the 13" Giochi Preziosi W.I.T.C.H. dolls. Emma is a huge fan of the W.I.T.C.H. comic book series, and so she is the perfect person to introduce this line. 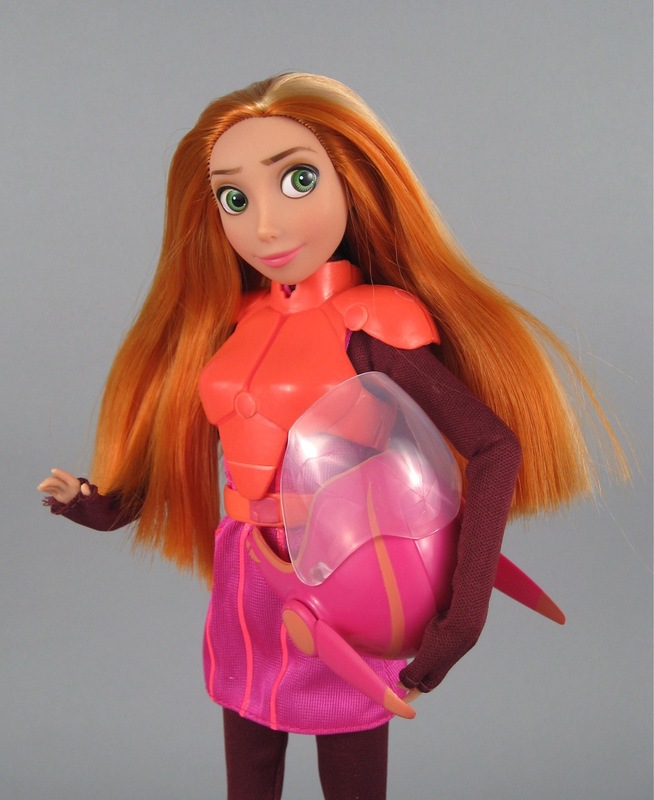 Emma will share her new "Taranee" doll, and then I will end the review by showing you my redheaded W.I.T.C.H. character, "Will." It has been fascinating for me to learn more about the magical world of these Witches, and I owe this experience to Emma's persistence, patience, and enthusiasm. Many thanks, Emma! This review never would have happened without you. W.I.T.C.H. doll "Will" by Giochi Preziosi. 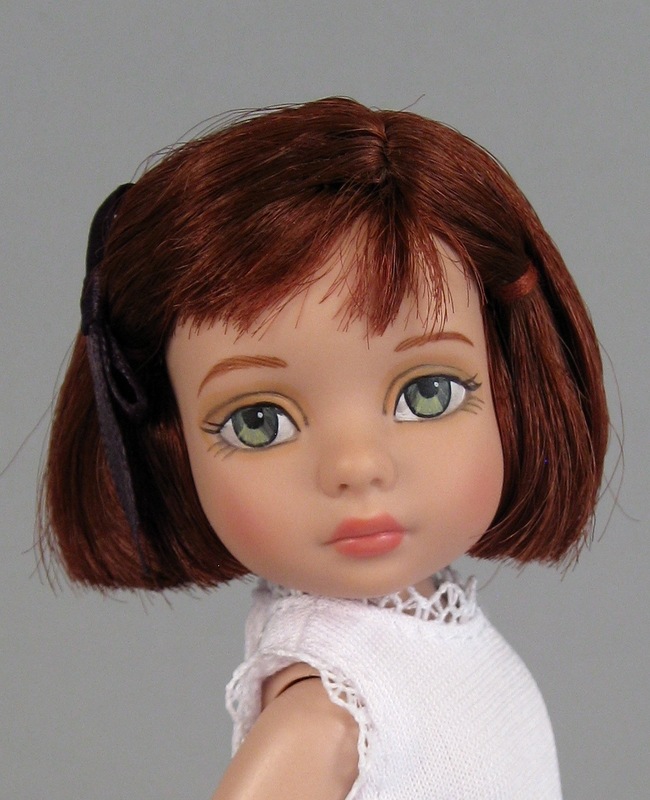 I have reviewed several Zapf Creation dolls in the last year, including Little Princess Cinderella and Best Friend Sam--the toddler doll I found in Edinburgh. Zapf is better know for their baby dolls, though, including the popular Baby Annabell, Baby Born and Baby Chou Chou lines. The name "Chou Chou" comes from a French term of endearment. The Zapf site says it means "darling," but I always thought it meant "cabbage." The Chou Chou babies I have seen in the past have either been 8 inch mini dolls or more realistically-sized 19 inch babies. To me, the most fascinating Chou Chou on the Zapf website is "My First Tooth," a baby who cries and goes red in the cheeks until you give her a binky, at which point she giggles and "grows" two bottom teeth. The teeth are hysterically large, and (at least in pictures) make the baby look like she has a ferocious underbite. Her crying and laughing sounds are very lifelike, though. Chou Chou Birdies "Jacky" (left) and "Candy" (right). I have been getting quite a lot of guest review requests these past few weeks for some reason, which is really wonderful. I love how guest reviews can change my feelings about certain dolls (I bought my first Bratz! ), how they can help encourage me to write a review that I had been putting off, or how they simply remind me of the fact that dolls make people happy for so many different reasons. The problem with these guest review requests (as those who have emailed me know too well...) is that I am painfully slow to get things organized and published, and the waiting times are getting long. In an attempt to lessen this problem, I have decided to combine guest reviews together into occasional "Review Fusion" posts. This should allow me to share more perspectives while still doing my own reviews each week. I have also received some amazingly gorgeous single photographs by email over the years, and have been looking for a good way to share a few of those with you. My plan is to start each Review Fusion volume with a beautiful photo, and then move into the actual reviews after the jump.